“When I call myself a foodie,” Darnell Lamont Walker laughs, “I’m not saying it to fit in with the crowd. 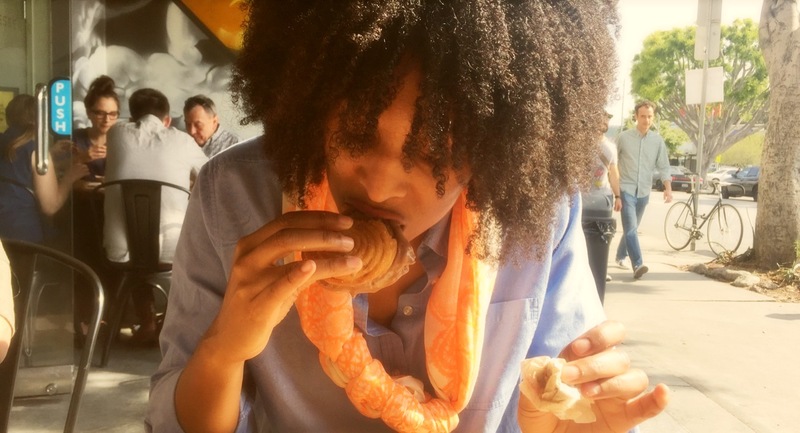 I’m saying it because it’s true.” Since moving to Los Angeles for the first time in 2009, Darnell has vowed to eat at every delicious eatery the city has to offer. In this on-again off-again relationship with the City of Angels, Darnell has kept his promise. After months of talking about tracking down a certain joint that combined two of their favorite things, Lisa, one of Darnell’s dear friends since college, drove up from San Diego to meet Darnell and they made the drive to the Los Feliz neighborhood. Churros? Check! Great ice cream options? Check! Churro Ice Cream Sandwiches? OMG! Like cotton candy on a rainy day, the churro ice cream sandwiches disappeared quickly, and the incredible day was that much better. ← Daiya Products: You’ve Made Believers!